Will Failla has just signed his fifth Borgata Poker Open title. 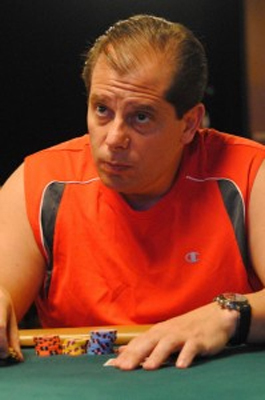 Thus, he is the only poker player who holds 5 titles of this event. Failla won indeed the victory of the Event #6 of this series of tournaments, currently held within the Borgata casino of Atlantic City, a No Limit Hold'em at $1,090 of buy-in, which gathered 159 participants. He dominated Jonas Wexler at the final duel. This exemplary triumph let him receive a nice gain of $46,269 $. From now on, Will Failla has $4,000,000 of earnings in live tournament. Concerning the result of the five first tournaments organized within the frame of the Borgata Poker Open, Maksim Rozenfield won the victory of the inaugural event, a $560 buy-in NL Hold'em, endowed with a field of 4,482 participants. This Event #2, a Bounty Hold'em, attracted 689 players and crowned Soheb Porbandarwala as winner. Besides, Joe Palma is the champion of the Event # 3, a PL Omaha Hi/Lo of $500 entry fee and Eric Rappaport stood out during the Event # 4, a Deepstack NL Hold'em at $560 of buy-in. The Event # 5, a FL Omaha Hi/Lo of $450 also crowned its winner who is Glenn Englebert. Let us note that the Borgata Poker Open will end only in September 20th and more than ten competitions are still in the program. The World Poker Tour (WPT) Borgata Open is among them. This tournament, accessible at $5,300 of buy-in, will take place in the poker room of Borgata casino, from Sunday September 15th of this year.